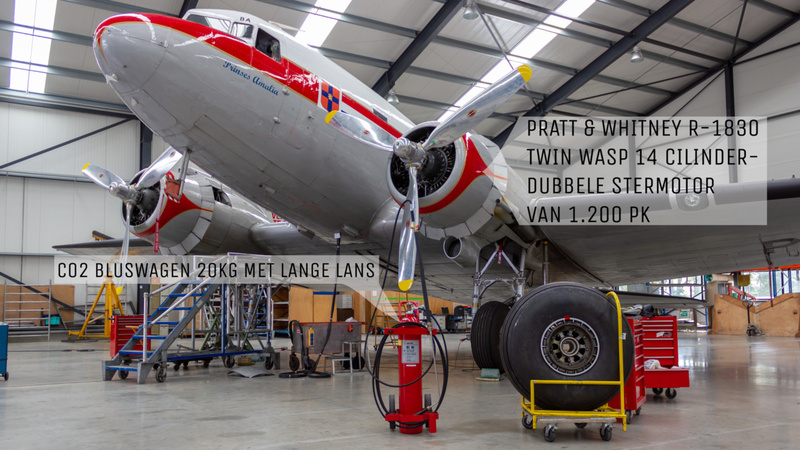 The Dutch Dakota Association from Lelystad, founded in 1982, has had a large number of historic aircraft in its possession over the years and kept them airworthy. 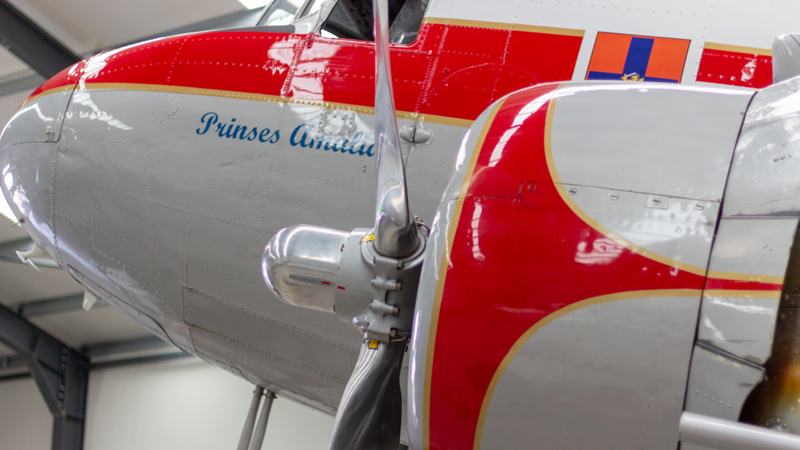 The Princess Amalia, PH-PBA DC-3 is the former plane of Prince Bernard and the prominent possession of DDA. 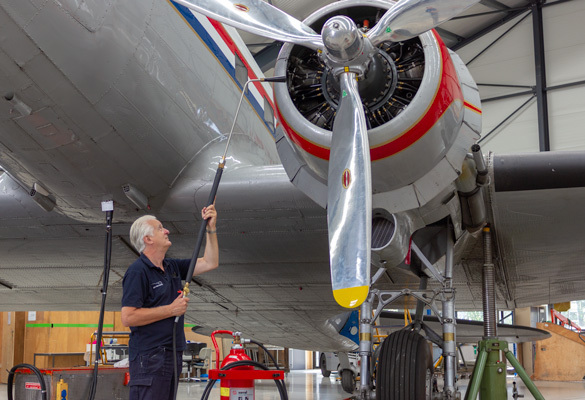 Thanks to the many volunteers, every year between 100 and 150 flight hours are achieved. 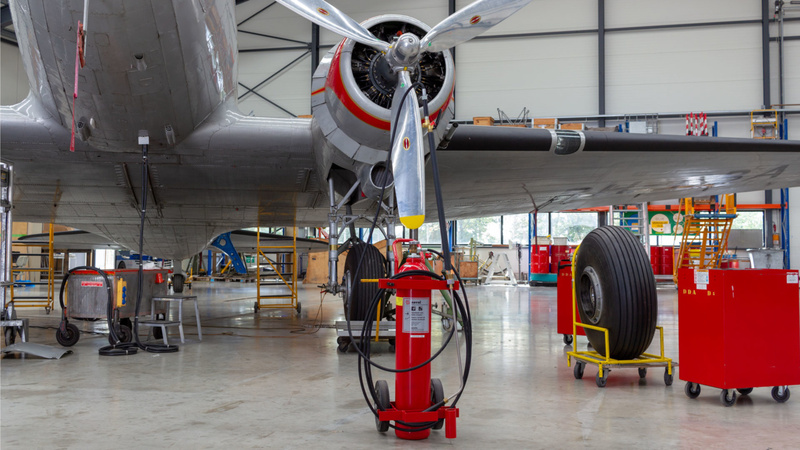 In order to protect this unique heirloom, Saval has supplied a wheeled CO2 extinguisher that is used during the start procedure. 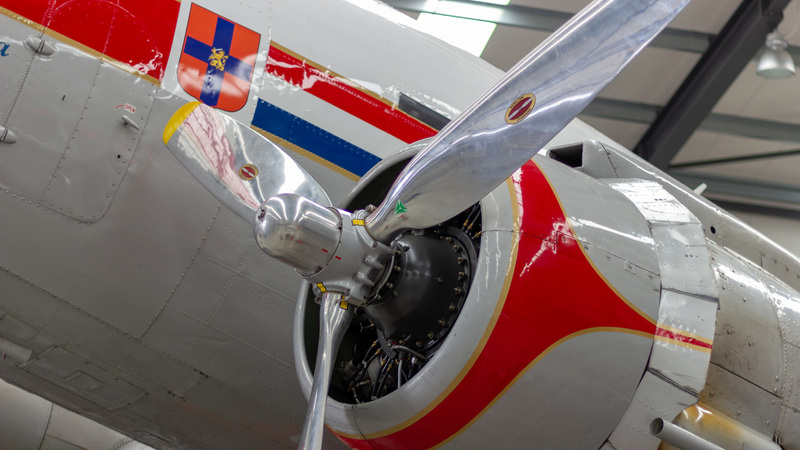 Dutch Dakota Association is a dynamic museum that has become a full-fledged aviation company. 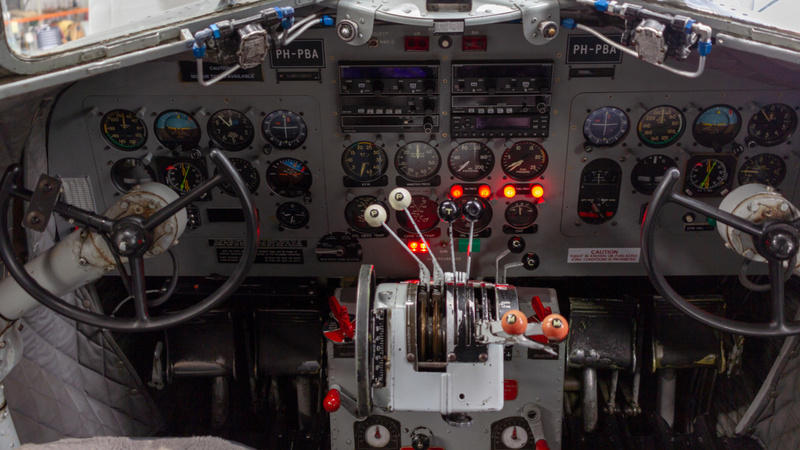 The objective of DDA Classic Airlines is to stimulate interest in (historical) aviation and make it accessible to the widest possible audience. 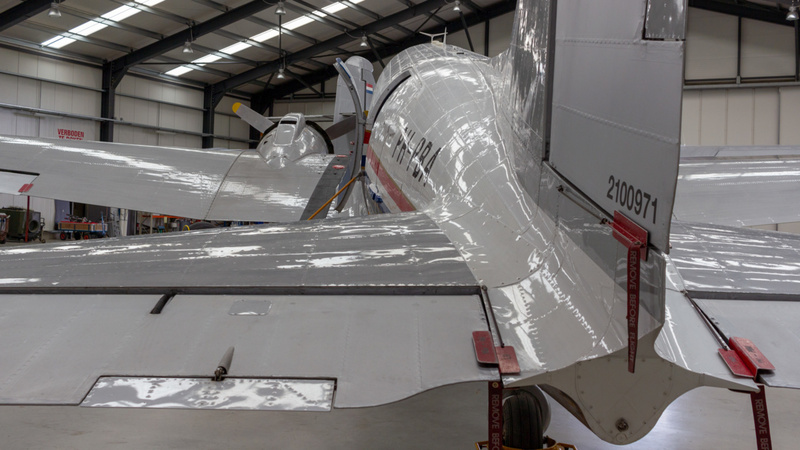 As a non-profit organization, DDA succeeded in innovative ways to unite the preservation of historical heritage with the operation of its 80-year old DC-3 Dakota with the highest professional standards. We opted for a CO2 extinguisher with a capacity of 20 kilograms with a long lance. 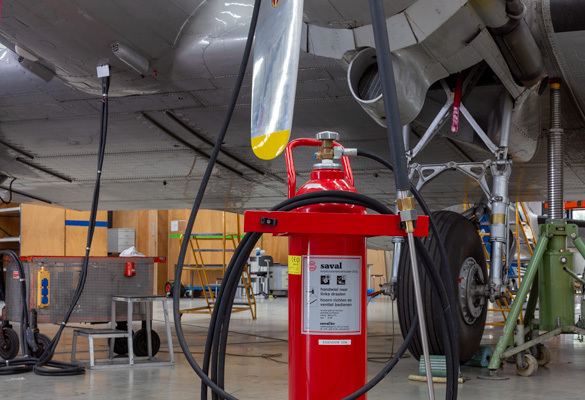 This extinguisher is mobile and can be used quickly so that in case of incidents you can quickly extinguish. 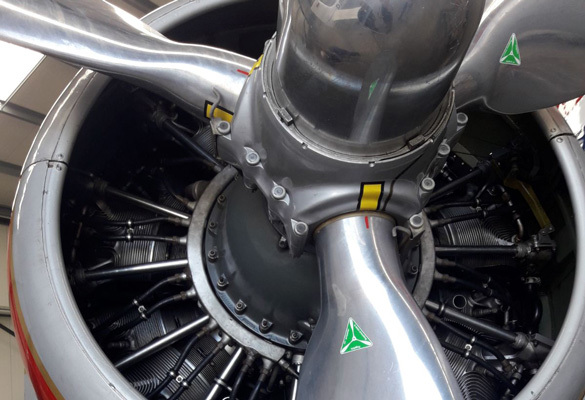 The extinguishing agent has a good extinguishing capacity on liquid fires and leaves no residue. 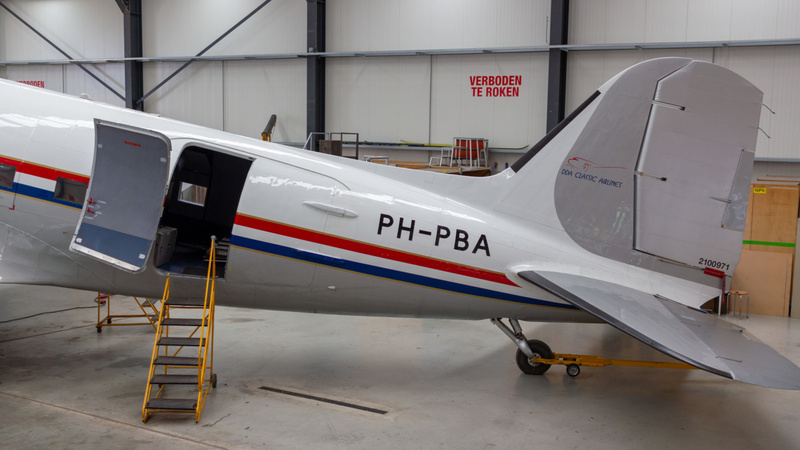 The PH-PBA is a masterpiece from the Dutch aircraft history. This extinguisher ensures that we can intervene quickly in the event of incidents.